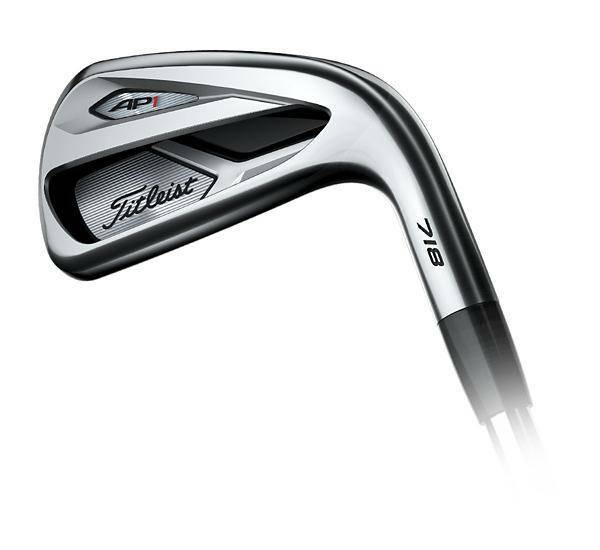 With explosive ball speed and an even more-forgiving face, 718 AP1 irons reward you in every way you can imagine. All while maintaining our classically coveted look and feel. Launch it high and land it soft with a lower CG and refined tungsten weighting for each individual iron. Hit longer shots that hold the green more often, putting you in better scoring positions. AP1 irons not only deliver more distance, but also produce more consistent gapping throughout the set. Hollow body long irons and undercut cavity mid and short irons mean you’ll be able to maximize carry distance for every shot. A higher MOI gives you more room on the face to hit it pure. An improved leading edge creates better turf interaction, for more consistent contact. Together they let you hit every shot closer to your target.